Faithful INKspirations: Creation Station: Happy New To You! Creation Station: Happy New To You! #stampinup #creationstation #faithfulinkspirations Happy New Year everyone! I hope everyone has a healthy and happy 2019. 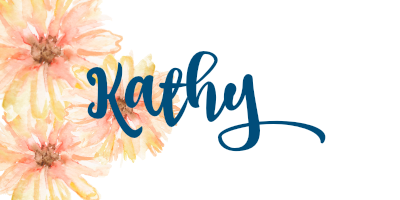 I'm glad you've joined us for another round of the Creation Station blog hop. 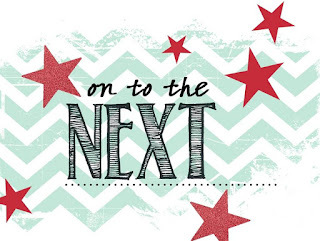 If you've hopped here from Sara Levin's blog, you'll know that we are featuring products from the new Occasions and Sale-a-Brations catalogs. My card uses products from the Classic Garage Suite on pages 42 and 43 of the Occasions catalog. We used these products at the OnStage even in November and they were my first purchases. A long, long (long) time ago, my dad drove stock cars. He stopped racing when I was born (hence the loooong time ago...), but he worked on his friends' stock cars while I was growing up. The Classic Garage Suite reminds me of my dad and his friends. 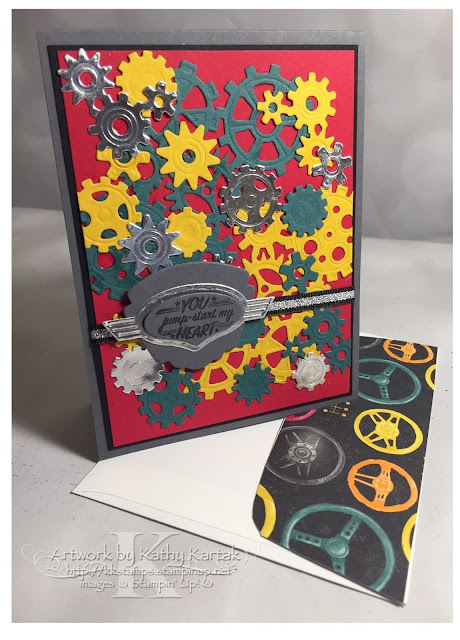 I used the Garage Gears Thinlits Dies to cut all the gears from Crushed Curry Card Stock, Tranquil Tide Card Stock, and Silver Foil Sheets. I made a collage background by adhering the gears to a 3-7/8" by 5-1/8" Real Red Card Stock panel, using the Fine-Tip Glue Pen. I trimmed the pieces that hung over the edges and adhered the panel to a 4" by 5-1/4" Basic Black Card Stock mat. I wrapped a length of Black/Silver 1/4" Striped Metallic Ribbon around this piece before adhering everything to a Basic Gray Card Stock card base. Next, I used another of the Garage Gear Thinlits to cut out a Silver Foil Sheet frame for the sentiment. 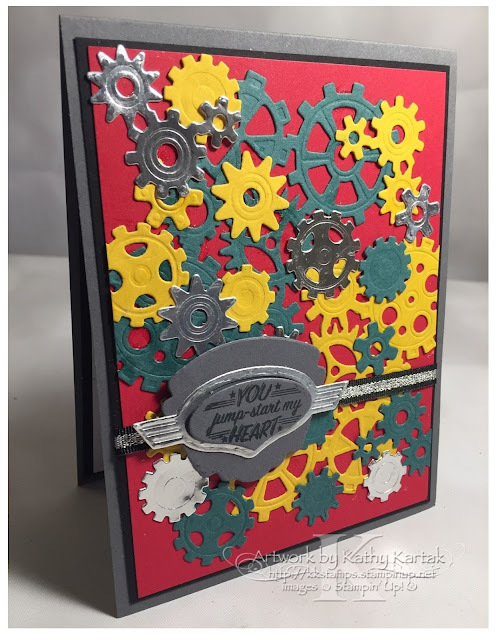 Then I stamped a sentiment from the "Geared Up Garage" stamp set in Memento Ink onto a Basic Gray Card Stock scrap and used the same thinlit to cut it out. I cut a medallion from Basic Gray Card Stock with another of the Garage Gear Thinlits. I adhered everything together, using Mini Stampin' Dimensionals for the sentiment piece, and then adhered the medallion to the card with Stampin' Dimensionals. 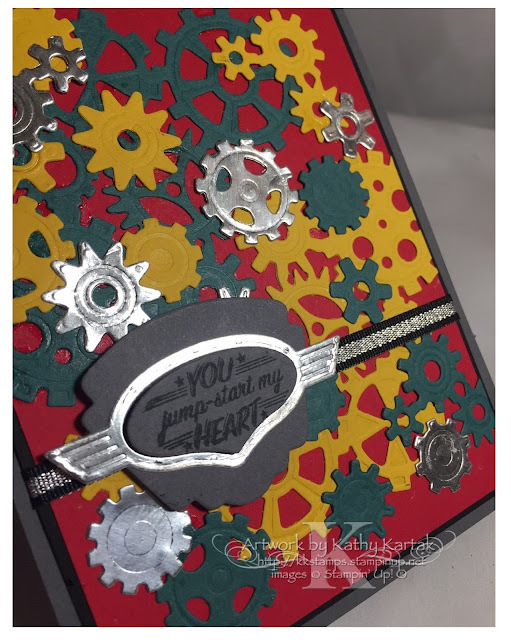 I stamped a sentiment from the "Geared Up Garage" stamp set in Memento Ink onto a 3-7/8" by 5-1/8" Whisper White Card Stock panel. I also stamped the car from the set in Memento Ink. 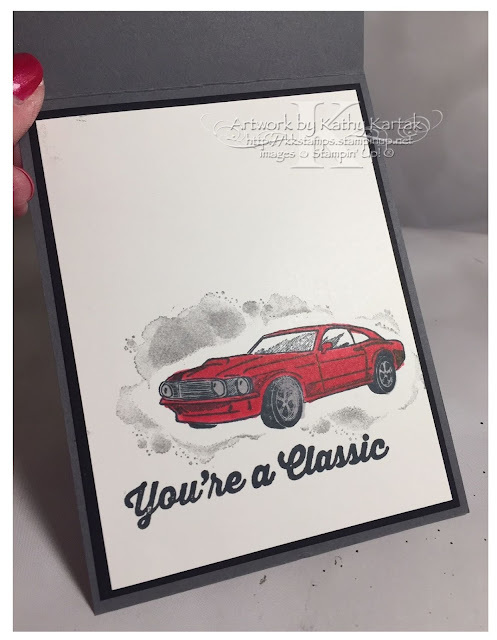 I colored the car with Real Red Light and Dark Stampin' Blends and a Light Smoky Slate Stampin' Blend. I used another Garage Gear Thinlit to cut the car shape from a scrap of card stock and used it to mask the car so that I could stamp the grease stains around the car in Smoky Slate Ink. I hope you've been inspired by my project and now it's time to head to the next blog for more inspiration. Just use the next button to be taken to see Jennifer Downey's project! !